Discover the benefits of Botox® and dermal fillers at our practice. At Midtown Dental Care Associates, we take a comprehensive approach to patient care. This includes offering our patients the latest in Botox and dermal filler dental therapeutic treatments. Today, facial injectables are widely used to alleviate TMJ disorder, facial pain and a number of other dental-related issues. Experienced in an extensive range of dental procedures, Dr. John Stanescu is highly skilled and trained to adminster non-invasive injectables to treat facial muscles and structures in and around the mouth. These treatments often have a dual benefit, offering patients therapeutic care while also providing aesthetic results. Dentists are trained to anesthetize cranial nerves in the head and neck area that are critically sensitive. Dentists have more knowledge and training of the oral maxillofacial areas and are experienced in giving painless injections. Arguably there is no one more qualified to offer Botox and filler treatments. Botox is used to remedy a number of dental issues, such as facial pain, jaw tension, angular cheilitis and facial muscle spasms. TMJ disorder, teeth clenching, and teeth grinding (bruxism), can cause pain and discomfort, disrupting daily life. Quick and painless Botox injections deliver targeted treatment to relax the muscles that control the jaw, preventing wear on teeth and alleviating facial pain. TMJ Botox treatments also have an aesthetic effect of naturally slimming the face, narrowing the appearance of a square or wide jaw. Upper face areas can also be treated with Botox to help with tension headaches and facial pain that are often times associated with TMJ. Treating these areas will also help reduce the signs of aging that come from heavy contraction of muscles. Do you suffer from teeth grinding (bruxism) or another TMJ condition? Botox is a proven alternative to help you alleviate symptoms and provide instant relief. Many patients see their dentist with complaints of jaw or facial pain. In many cases, this pain is caused by either bruxism (teeth grinding) or temporomandibular joint (TMJ) disorders, which are related conditions. TMJ disorders refer to a collection of jaw problems that may be treated by a dentist. The jaw joint is a complex one, with a number of structures that facilitate vertical and lateral movements. Problems may develop in the numerous muscles, ligaments and nerves that help the joint perform correctly. 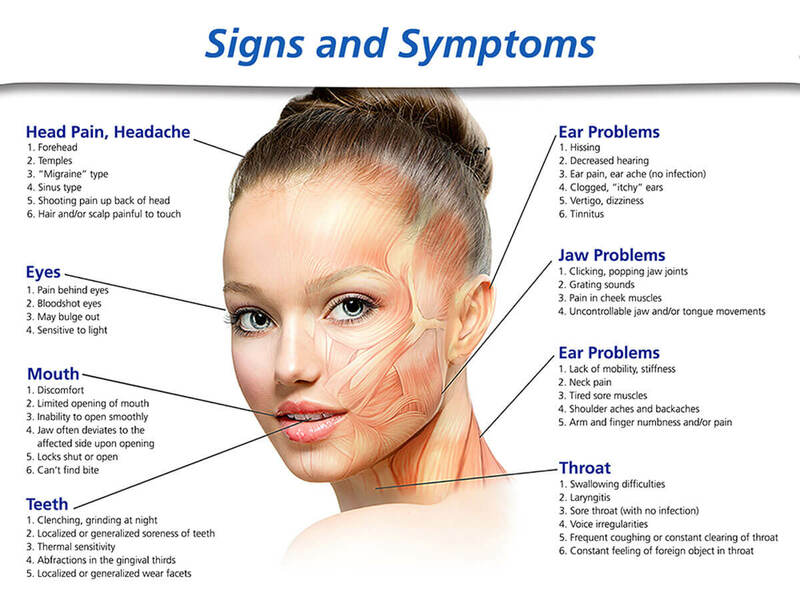 A misaligned jaw can also lead to TMJ disorder. What are the benefits of Botox treatment for jaw tension? Botox injections often provide substantial relief while reducing the ability of facial muscles to engage in problematic, excessive grinding. Botox allows muscles to perform daily activities such as talking, chewing, and swallowing. In addition, the treatment can help safeguard dental health, since excessive grinding can result in worn teeth and damaged gums that may require costly treatment. Most patients experience noticeable improvement within 1-2 days of their first treatment, although relief can take up to a week. Results last 3-4 months. What are the benefits of the Botox bruxism treatment? Bruxism is a specific condition in which people grind or clench their teeth, often while sleeping (most do so involuntarily). Grinding or clenching causes the muscle to grow stronger, resulting in headaches, earaches, or facial pain, which worsen with time. Besides relief from jaw pain, tension and headaches, patients see a dramatic change in appearance after 2-3 sessions of Botox treatments. The square, heavy appearance of their lower face softens into a more narrow and esthetically pleasing one. Gummy smile refers to the excessive display of gum tissue when smiling, often considered unattractive. An injection of Botox above the upper lip reduces the lifting action of lip muscles, thus reducing the display of gum tissues. Treatments provide patients with a more aesthetic and beautiful smile. As our skin ages, it gradually loses its major constituents: collagen, elastin and hyaluronic acid. Collagen acts as the major support protein for our skin, elastin allows our skin to stay firm, and hyaluronic acid helps to trap water and add volume to our skin – keeping collagen and elastin moist. Since hyaluronic acid is a primary component of healthy skin, naturally diminishing levels associated with age result in dryness, reduced flexibility, and facial volume deficiencies. Midtown Dental Care Associates provides Juvéderm™ treatments to restore perioral volume loss and sagging and depressions in the skin that can lead to angular cheilitis. Angular cheilitis is a common inflammatory condition affecting the corners of the mouth or oral commissures when skin breaks down due to the aging process. Juvéderm is a smooth consistency gel made of hyaluronic acid, a naturally occurring substance in your skin. Dermal fillers can be used to volumize lips, nasolabial folds, marionette lines, corners of mouth, filling interdental papilla (the small gap between adjacent teeth), and to correct smile asymmetries. 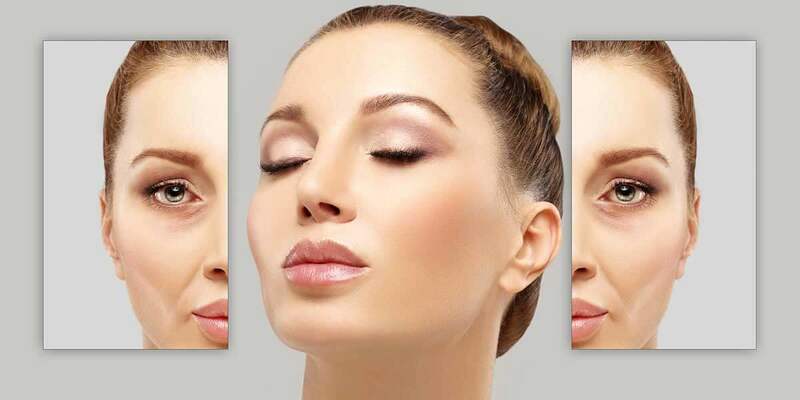 Who should consider facial injectables? One of the many advantages of treatments in our dental office is the use of multiple anesthetic options. Patient comfort is important to us. For this reason, we offer prescription strength numbing cream and ice that can be applied to areas prior to treatments. We offer a modified dental block for painless injections in sensitive areas such as the lips. Our dentists can also perform this procedure with lidocaine diluted within the filler, providing maximum patient comfort every time. Dental practitioners are experts in injections and anesthetic techniques resulting in minimal discomfort for pain-free treatments. Depending on the area treated, Juvéderm results typically last from 6 months to 1 year. Botox can last 3-4 months, sometimes longer. Procedures are brief and only take approximately 10-30 minutes depending on treatment(s). They can be done during routine dental appointments, with no downtime. Are Botox and dermal filler treatments safe? Botox is one of the safest cosmetic procedures available and its use has a history of more than 20 years. Only a small amount is needed to produce optimal results. Juvéderm is a hyaluronic acid, which is produced naturally in your own body. During your consultation, Dr. Stanescu will review your options, including any possible contraindications. Dr. Stanescu is certified through one of the country’s leading facial injectable training programs for dental practitioners, DentaSpa Seminars. As a member of the International Academy of Facial Aesthetics (IAFA) – where he continues to stay up-to-speed with the latest advances and techniques – Dr. Stanescu is one of the most qualified practitioners to offer facial injectable treatments for the face and oral-maxillofacial area. We are dedicated to meeting your therapeutic goals, which will lead to enhanced facial aesthetics. During your consultation, Dr. Stanescu will ascertain your needs and answer any questions you may have regarding treatments. With Dr. Stanescu’s extensive knowledge of head and neck anatomy and structure, you can feel assured that you are receiving the most complete evaluation and best treatment plan to provide you with optimal results. By combining Botox or filler treatments as part of your dental treatment plan, Dr. Stanescu can create the optimal therapeutic and aesthetic outcome for your restorative dental care. Call us at 212-685-4730 and schedule a consultation.